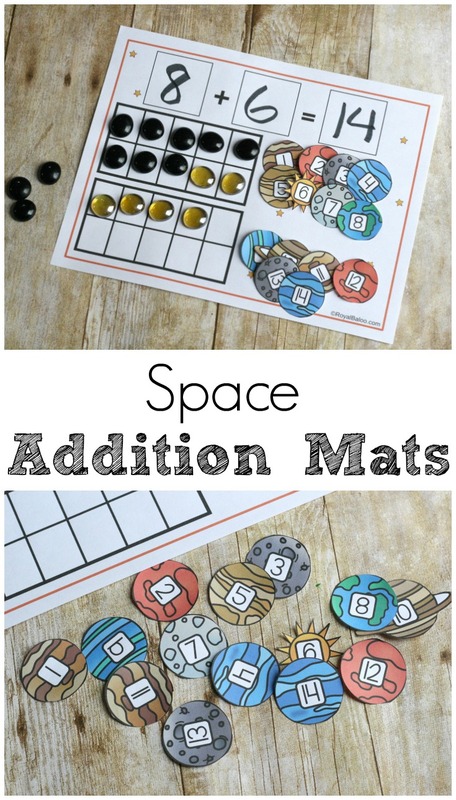 Make math hands on and fun with space addition mats. 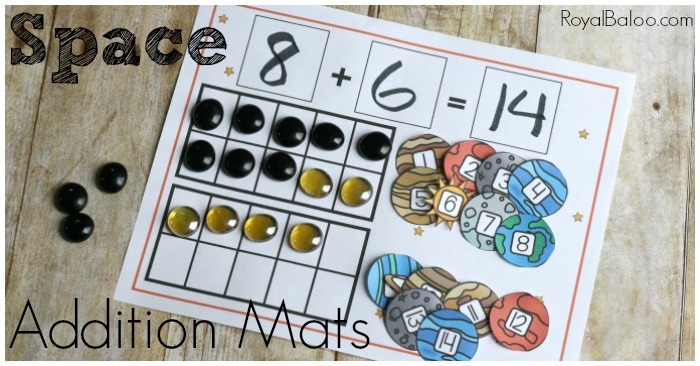 Counting, addition, ten frames, and all the great ways to practice addition!A good space theme seems to be highly motivating to my kids! Any bit of space in a project and they are in. I think it may be in part because they can stall any work by bringing up Pluto’s planetary status which nearly always segways to Triceratops. Kids can be so crafty. This set is an exclusive freebie as part of my weekly newsletter. 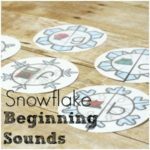 Every week I send out an e-mail with a list of printables on a certain theme along with an exclusive freebie! I typically laminate these mats but it’s not absolutely necessary. 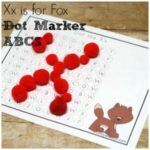 If you want to use dry erase marker on them you’ll either need to laminate or put it in a sheet protector. 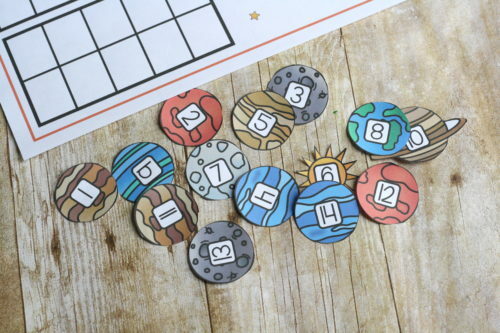 Simply cut out the planets and leave the mat out with gems! Not a lot of prep is necessary. I’ll be honest in that when we use addition mats, it’s more play based. I let them explore and see what they get out of it. 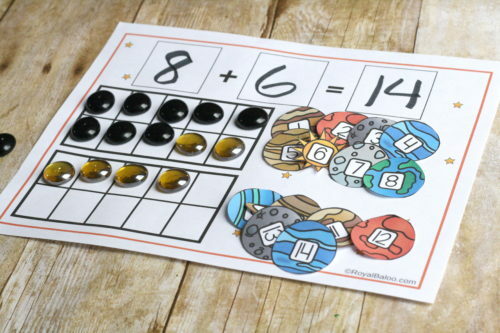 They usually like to make a certain number with the planets and match it with the gems. I think just leaving an activity like this out for them to play with will accomplish the most. However, I also use these when working in addition and someone needs extra help. If we’re working through new concepts or new facts, I’ll let them choose a helper. Sometimes it’s a number line (like the space number line) or an abacus. But I do like to have options for them and we often keep at least one addition mat ready to use. Sometimes these hands on visuals really help to further their understanding. I try to always use at least two, sometimes three, different colors of gems. 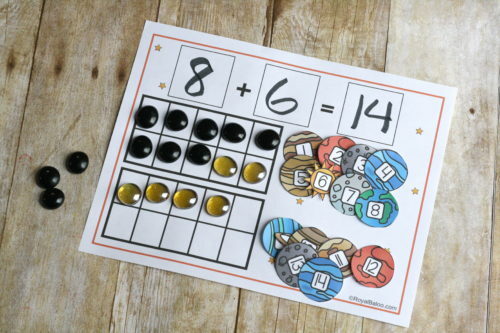 I find it helps the visual of addition!